We're so excited to share deeper studies and related practices with you through workshops. Note that unlike our normal classes that are drop-ins, we need you to purchase a separate pass for these offerings (and register!). Workshops and events are refundable up to 72 hours before an event but not thereafter. Please make sure you've paid and registered so we can update you with any information before the event. Thank you for understanding and we look forward to seeing you soon! Join Adam H. to give your feet a break and spend some time on your hands. 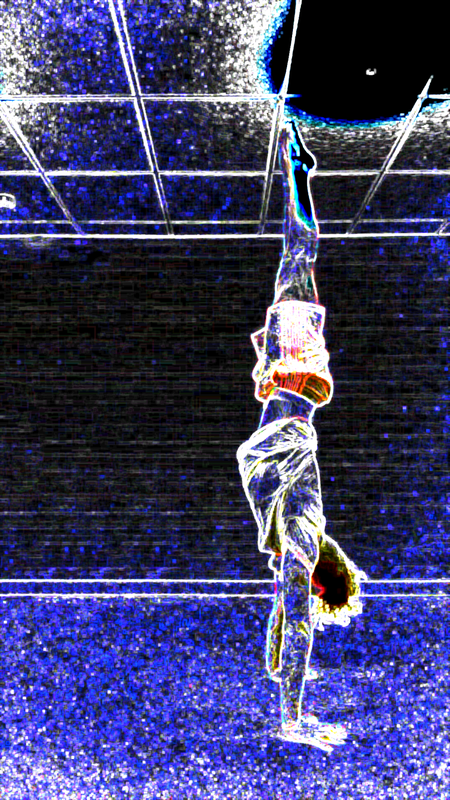 Combining training methods from Yoga, Gymnastics, and Circus Acrobatics this class will both help you improve your handstand in the studio, as well as provide ways to develop your personal handstand practice at home or on the go. Training both your muscles and your proprioceptive awareness, you'll develop both the strength and balance to hold a handstand on your own (or at least have fun working on it!). Investment: Normal class rates/passes apply (no extra fee!). Sign up on our schedule page. Allow Valerie to lead your body and breath for a rejuvenating 75 minute end to your week. You can expect props, low lighting, soothing music, and gentle movement between long, supported holds to help your nervous system settle and stabilize. This may be your new favorite way to end the week (and start the weekend!). Celebrate the end of the UMD semester - whether you are a student, staff, faculty, or neighbor! Join Yogi Terps and Numi Yoga hosting a Glow Flow at Milkboy Arthouse. We'll bring Glow Sticks, Music, and the Flow. Enjoy special happy hour pricing on drinks and snacks available after class. We'll have some mats there to share but please bring your own (or a towel) if you have one! Can't wait to flow with you! Investment: Class is FREE! Bring a friend! 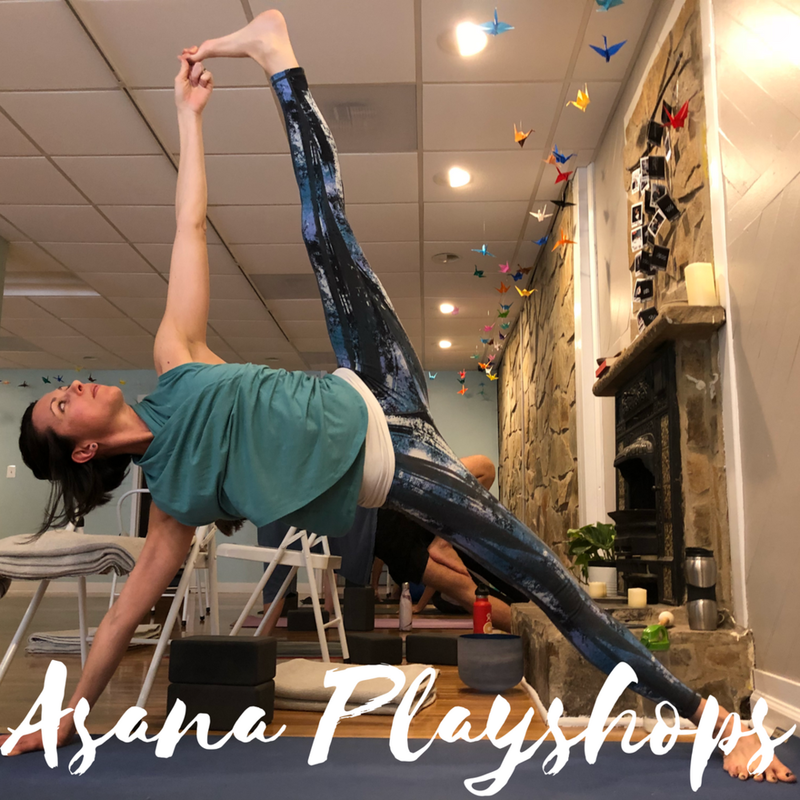 Join Sarah for a group practice based on Christina Sell's Asana Junkies. Expect the instructor to practice alongside the group and gives occational cues and demos. This workshop is similar to the style of the Align classes but more suited to non-beginners. The series of classes will build from a similar sequence "backbone" and foray off into pose categories as listed. Register Here! (For parents and their infants 6 weeks to pre-crawling) Registration Open! Infant Massage used to be an art passed down from generation to generation. Through touch, infants learn how to communicate, foster positive attachment to their caretakers, and understand that they are respected and their emotions are validated. Parents also learn to read baby's cues, understand their cries and alertness states and develop communication with their babies on a physical, verbal and intuitive level. During this four week series you will learn various massage techniques for baby which blend styles of Swedish massage, Indian massage, and yoga. You will have the opportunity to practice on baby dolls if your baby is asleep. Each week we will have time for a guided discussion to connect to other families, review the massage strokes from previous weeks and address any questions that have come up. During our last class together, you will also learn adaptations for older siblings (or the growing child), rhymes and riddles to sing to baby and a little celebration potluck! This class is entirely baby-led. The best lesson massage teaches us is how to listen to one another and to our children. Holding a baby who is upset, nursing, or changing a diaper are all encouraged and honored and there will be comfortable space for you to do all that you need to make sure baby is happy. We will review strokes and provide worksheets of all of the songs and massages so that all parent couples are caught up each week. The intention of this workshop is to provide a safe space for queer self-inquiry and contemplation of the complete yoga practice, exploring the eight limbs through a queer lens. It is meant to be an LGBTQ+ only space, and all who self-identify as such are welcome. The ultimate aim is to leave participants with a solid foothold into yoga philosophy and practice that resonates and jives with their queer identity. The workshop opens with centering and a brief, grounding meditation, incorporating use of pranayama, mudra, and/or restorative pose work as appropriate. The group will then spend time in discussion, looking at the eight limbs of yoga (particularly the yamas and niyamas, yoga's ethical precepts) through a queer lens, led by the instructor and incorporating moments for group reflection and sharing. 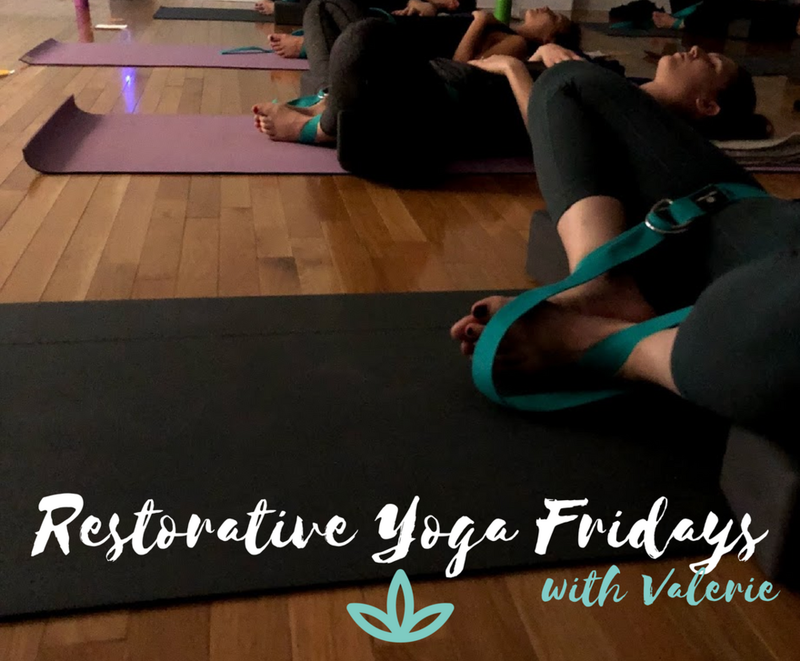 We will follow the discussion with another brief meditation for integration and an hour-long, all-levels asana practice that is designed to support the queer physical and energetic bodies through chakral and anatomical alignment and breath-based flow. We’ll close with savasana and a final guided meditation. Investment: $40 or $30 for Students/Gold/NYTT Sign up here. non-violence and impermanence, that can change the way we relate to our own bodies for the better. Mel skillfully weaves together yoga's philosophies and a modern asana practice to invite participants into layers of self acceptance and love. Investment: Early birds (by Jan 21) $100, then $120 for all four sessions. Join us by signing up here. Feb 16-17 with Christina Sell - Details and registration available upon request. Please email us with any questions. Spring 2019 - Join Kelsey S. in a women's small group series applying yoga asanas and teachings to the health and vitality of your hormones. Whether you are struggling with balancing your cycle, working towards fertility, centering after birth, finding steadiness in peri-menopause, or adjusting to a life after periods, this workshop series will offer you a forum to learn with peers, empower you with skills for taking your personalized practice home, and encourage you that your body is working with you, not against you.